Ancient wisdom … now yours! India. An ancient place with ancient wisdom. A land of psychics who devote their entire lives to helping others. Now, that wisdom is available to YOU. It’s just a click away. Psychics and fortune telling have been a big part of Indian culture since ancient times. A large portion of the Indian population is Hindu, and Hinduism accepts and cherishes fortune telling. That’s why many Hindus consult readers before making big decisions and follow the advice. Most Indian psychics use astrology as their divination method. It’s common in India for psychics to devote their whole lives to helping guide others. Today, many Indian psychics are also online to help people from all over the world. Here are the best local psychics in India. He is the most renowned Indian astrologer known worldwide. He uses a combination of Indian and Western Astrology, Tarot Cards, Palmistry, Hebrew Kabala of numbers, I-Ching and colors for his predictions. Major Prediction: Terrible earthquake hit India in 2001 which he had predicted in April 2000. Along with 30 years of experience, he is a pioneer of computerizing astrology, which was totally a new concept for India. 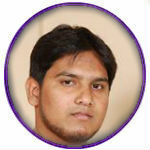 He is a column writer in different newspapers and magazines. Major Predictions: Sonia Gandhi’s entry in politics, SRK’s success, Rajiv Gandhi’s death, Amithabh Bachan’s return and fall of Benazir Bhutto and Nawaz Sharif. He is a mechanical engineer and holds a Ph.D. in Astrological research. He has predicted several events which later were proved to a certain extent. He has done a lot of research on numerology, astronomy, astrology, gemology, Lal Kitab and Tantras. He has devoted his life to solving other people’s problems using astrological readings. 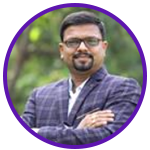 He is India’s only phonetic numerologist and has a deep knowledge of remedial astrology, numerology, palmistry, tarot cards and face reading. He is also India’s most popular columnist based on his daily forecasts in The Times of India. He has been a student of Numerology for more than 30 years. He is now a professional astrologer in India. Major Predictions: He gave a hearing date to a famous film star who had been jailed; he predicted that if the case was to be heard on that date, he would be able to walk free. He gave the name ‘Kaho Naa Piyaar Hai’ (with double A) to Farahad Nathani for film’s success. Sanjay is a famous astrologer in India. He uses spellings and colors for his predictions and almost all of them are true. 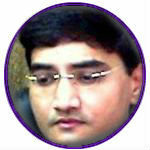 With experience of over 8 years in this field, Sanjay is regarded as one of the best psychics in India. Major Predictions: He suggested Salman Khan to wear blue, white, green or beige for his hearing instead of black. The actor was held free that day. She was inspired by her father Bansilal’s work and followed him in this field. 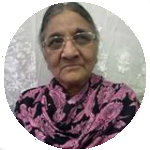 She is one of the best psychics in India (astrologers). Most of her predictions have proved true word by word. 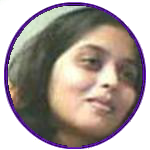 She is among the best Indian psychics and gives psychic readings in India. She is working in this field for over 20 years and is also a tarot card reader. She gives insights, directions, counseling and predictions. He is India’s only phonetic numerologist and has deep knowledge of remedial astrology, numerology, palmistry, tarot cards and face reading. He is India’s most popular columnist based on his daily forecasts in The Times of India. She is a psychic, tarot card reader, healer, fortune teller, clairvoyant and a counselor. She is one of the most famous astrologers of the world. 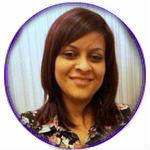 She helps her clients to better understand the purpose of their lives. 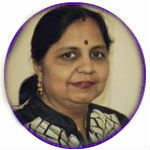 She is a well known astrologer, numerologer and tarot card expert. 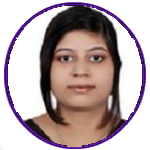 She has an experience of 15 years and has 90% of satisfied clients. She is known for giving accurate readings, spiritually enlightened and is very intuitive.